The vertical load bearing elements of the structural frame are usually called with their common name, columns. However due to their varied behavior, their different design rules and most of all, their differences in reinforcement and detailing, they are separated into three major catego-ries: columns, shear walls and composite elements. 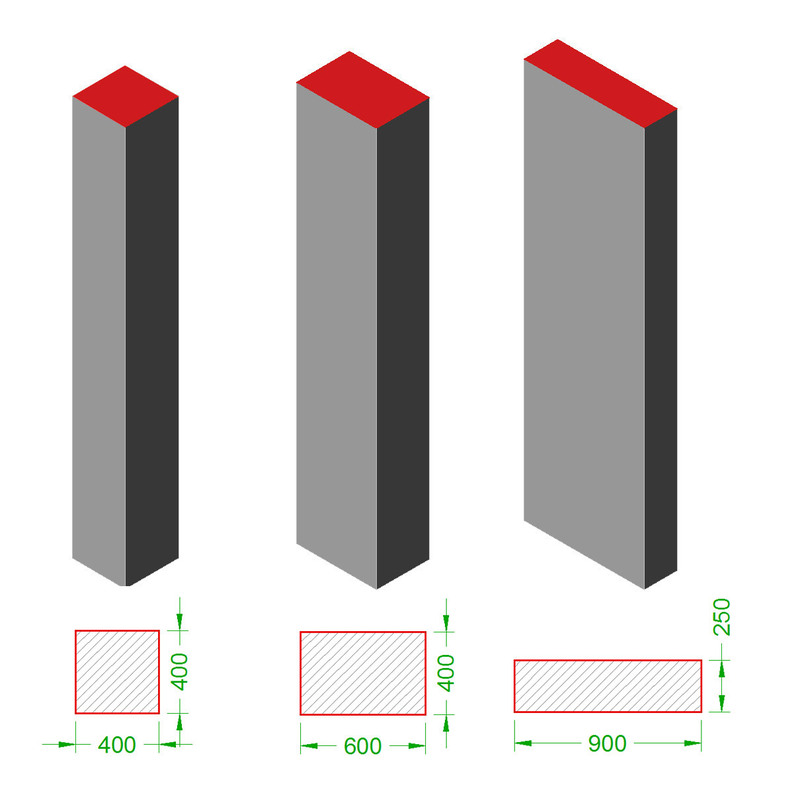 Columns are the rectangular elements in which the larger dimension is less than 4 times the smaller dimension e.g.400/400, 400/600, 250/900, etc. (dimensions in mm). The columns category includes circular sections as well, for example D=500 and quadrilateral sections like 500/600 with an inside angle equal to 60°. 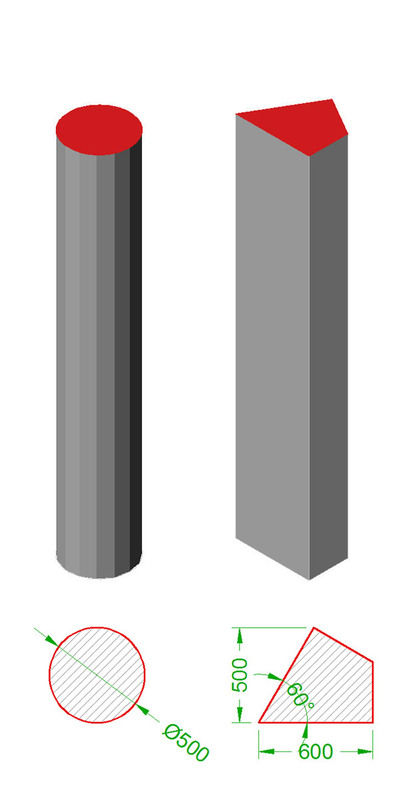 The columns category may also include elements with “Γ-shaped”, “T-shaped” or “Z-shaped” cross-sections, in which the dimension ratio of their orthogonal parts is less than 4 e.g. “Γ” cross-section 400/800/250/250, “T” cross-section 700/500/250/250, “Z”cross-section 600/700/900/250, etc. 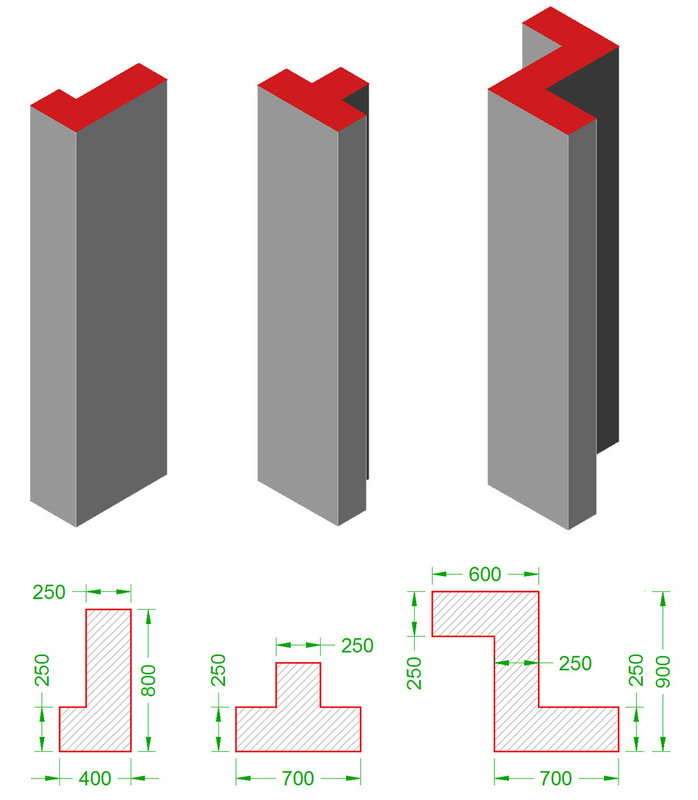 Shear walls are rectangular elements with a length to thickness ratio greater or equal to 4 e.g. 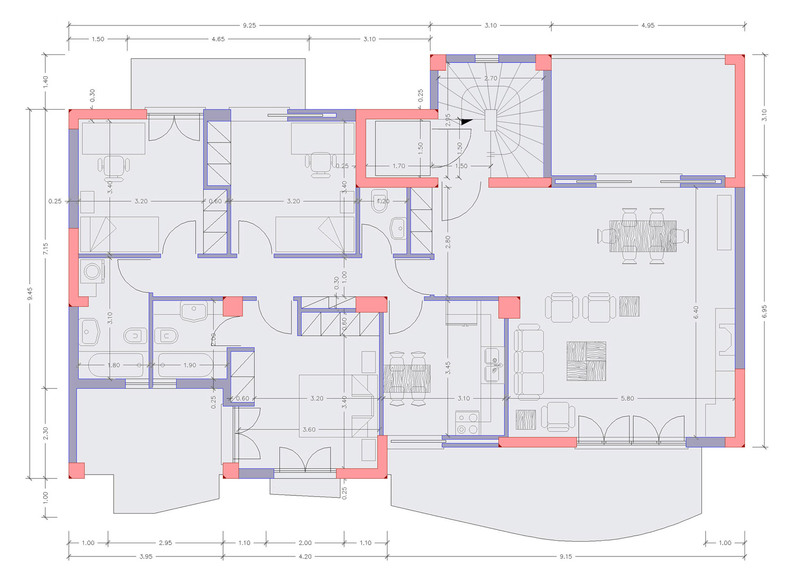 cross-sections 1000/250, 1500/300. 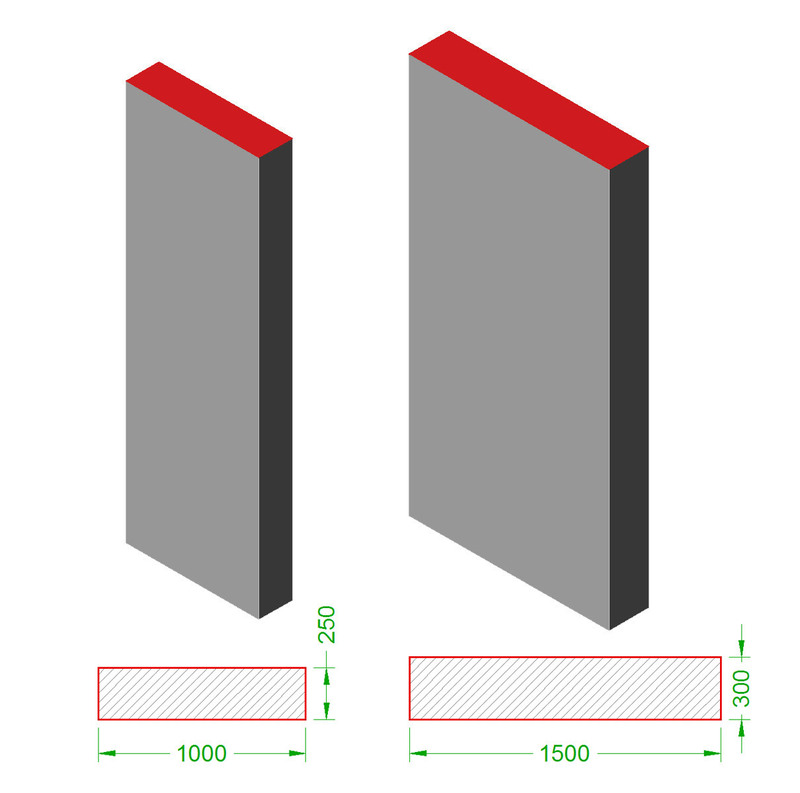 Composite elements are comprised of one or more rectangular elements, at least one of which must be a shear wall. 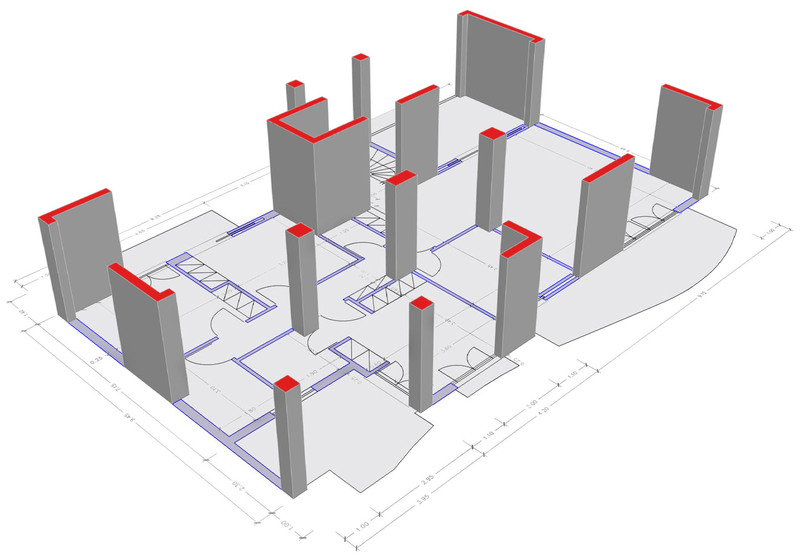 Generally speaking and due to the fact that at the two ends of each shear wall, columns are formed, a wall can be characterized as a composite element. 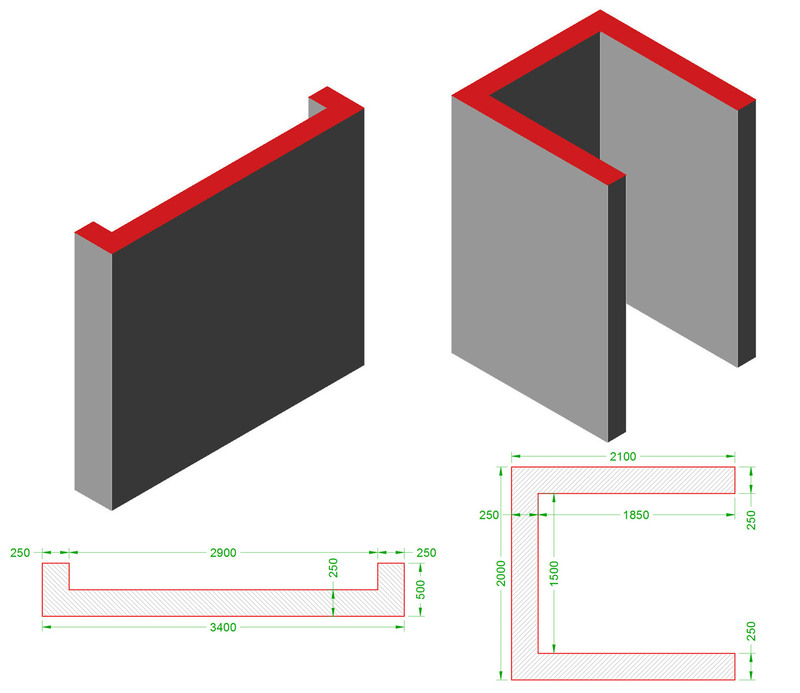 For example a wall with ”Γ-shaped” cross-section 1200/1000/250/250, ”Γ-shaped” cross-section 1200/700/250/250, elevator cores with or without flanges, double elevator core with slope on side etc are composite elements.